The Székely Hungarian polymath (writer, explorer, ethnographer, photographer and politician) Balázs Orbán, was born in Székelyland -190 years ago- but he was not even twenty when he started to explore the Middle-East. Besides his mother tongue (Hungarian) he spoke five different languages: German, English, French, Turkish, and Greek, lived in England as well, researched in the British Museum, and even became friends with Victor Hugo. He was curious and discovered so much about the world, but when he had the possibility to move back to Hungary he did so and dedicated his life introducing his homeland, Székelyland to the world. At his funeral he was called the “Greatest Székely”, a title he holds to this day. Balázs Orbán was born on 3. February 1829 in the Székely village of Lengyelfalva/Polonița. His father, Baron János Orbán was a Hussar officer and later member of the Hungarian Parliament. His mother, Eugénia Knechtel was half Hungarian, and half Greek, but lived in Hungary since the age of seven. Balázs Orbán studied in the Reformed High School of Székelyudvarhely/Odorheiu Secuiesc but could not finish the last two years of the school, because in 1846 he left Hungary with his parents and siblings and moved to Constantinople, where his Greek grandmother built a castle for the family. Unfortunately, by the time they arrived to Turkey, the old lady had died, and after a long litigation they received very little from her inheritance. The family was struggling in the foreign country, and this was the time when Balázs Orbán – as a teenager – started his expeditions. He traveled around Turkey, Palestine, Egypt, Greece and later he summarized his archaeological, historical and ethnographic experiences in his book called “Journey in the East”/(”Utazás Keleten” in Hungarian). He was in Athens when news about the outbreak of the Hungarian War of Independence against the Habsburgs reached him. He then organized a military unit of 150 volunteers from his own money in Constantinople and headed with them towards Hungary, but they were late. They were only on the lower stretch of the Danube when they got the news about the capitulation at Világos: the Hungarian Army lost the war of independence. Balázs Orbán became one of the most important helpers of the Hungarian emigrants fleeing from Habsburg retaliation into Turkey. For a while he lived close to Lajos Kossuth (Governor-President of the Kingdom of Hungary during the revolution and war of independence), and once even saved Kossuth’s life by thwarting an assassination attempt. In 1852 he had to flee from the Habsburgs, so he went to London, where he spent most of his time in the library of the British Museum putting in order the materials connected to his Middle-East expeditions. After traveling around England as well, he moved to the island of Jersey, than Guernsey, where he became good friends with Victor Hugo. The famous French novelist said about Orbán that “With two hundred men like Balázs Orbán I could overthrow Napoleon III”. 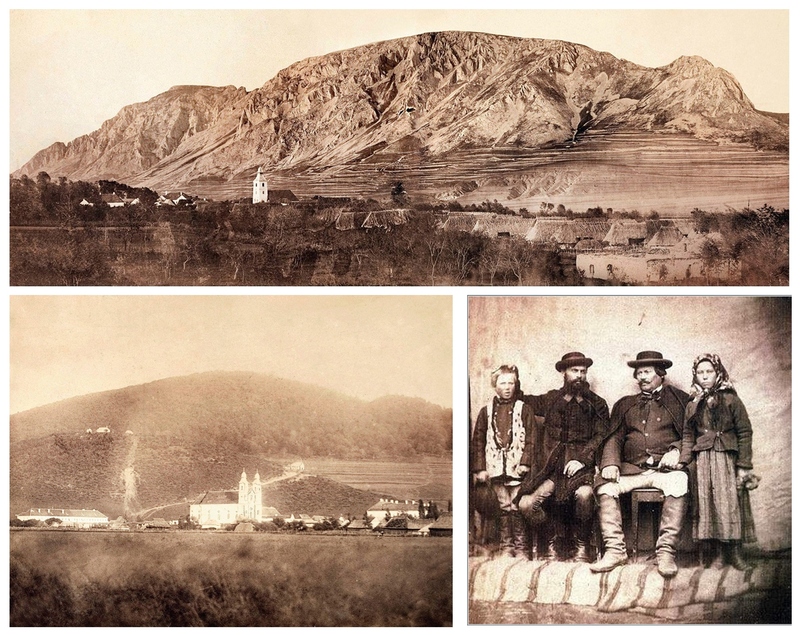 During the time spent on the islands, the young Hungarian even learned the photography from Victor Hugo’s sons, and by doing this became one of the first Hungarian pioneers of photography. In 1859 – after the political atmosphere softened somewhat – he returned to Székelyland. After arriving home, he realized that Székelyland is an undiscovered territory for most of the Hungarians not unlike the Middle-East, so he decided to introduce it to them and to the world. Between 1862 and 1868 he roamed Székelyland on foot, carriage and horseback. He visited all settlements in the area – more than five hundred -, he visited each ruins and saw every natural beauty while he untiringly was making notes and photographs. As a result, his most important work, “Székelyföld leírása” (Description of Székelyland) got published between 1868 and 1873 in six volumes. In 1868, – one year after the Austro-Hungarian Compromise – he moved to Budapest, where in 1871 he became a member of the Hungarian Parliament and three years before his death – in 1887 – he was elected to be a corresponding member of the Hungarian Academy of Sciences as well. 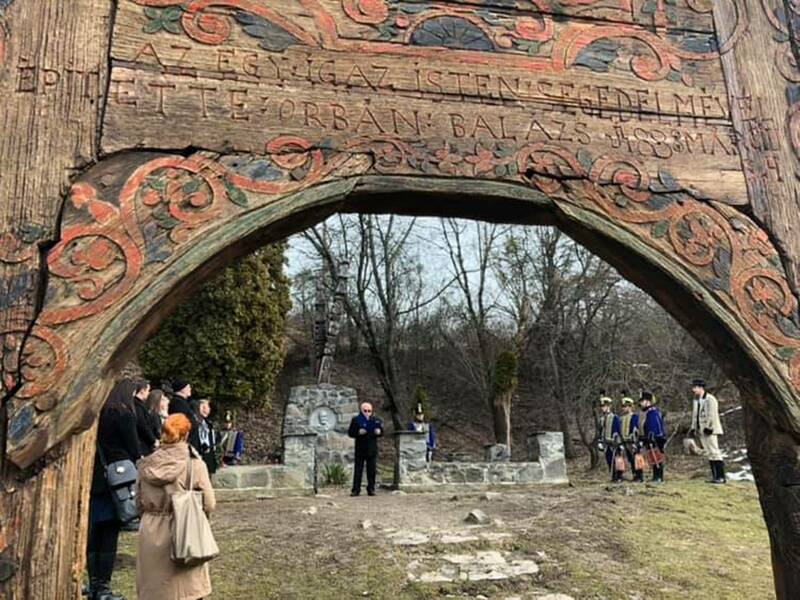 Besides his invaluable scientific work, he handed down something else as well: Szejkefürdő/ Băile Seiche developed into a famous bathing resort during his ownership. The tens of hectares area situated near his birthplace was bought by his mother in 1866, who then handed it over to him five years later. In the following years Balázs Orbán built a stone pool around the so called “Attila-spring”, also many warm baths, a restaurant, villas, and created a park as well. After he died in 1890 in Budapest, according to his last will he was buried here, at Szejkefürdő. Fortunately – almost two centuries after his birth – the legacy of the Greatest Székely still lives on, and we can even say that recently it is getting more and more attention. Schools in Székelykeresztúr/Cristuru Secuiesc, and Székelyudvarhely, and a photo club – also in Székelyudvarhely – bear his name, in 2011 the Hargita/Hargitha, Kovászna/Covasna and Maros/Mureș County Councils founded the Balázs Orbán Award as well. It is given to those who work on the unified picture of Székelyland, and to people, who – with a respect to the past – work hard on the modernization of the area. The newest and maybe the most grandiose memento of the Greatest Székely is still under construction, but according to the plans will be opening this summer. The team of the Székely Legendárium is creating a Mini Transylvania Park and a Balázs Orbán Museum at Szejkefürdő, so the tourists in the future can not only visit the grave of this extraordinary man, but also can get to know him and his beloved Székelyland much better. Visualization of the Mini Transylvania Park which will also include a Balázs Orbán Museum. Expected opening: in the Summer of 2019.